Extreme learning machine is a new type of algorithm for single hidden layer feedforward neural network. 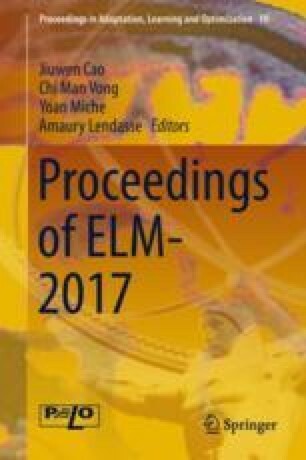 Compared with the traditional algorithms, ELM avoids long time iteration and has the advantages of high speed, small errors. Among them, the activation function plays an important role in the system. Whereas the general ELM usually uses Sigmod function as the activation function, a new kind ELM using memristor’s memristance-charge function as activation function is proposed in this article. Experiments show that, compared with the ELM and the traditional neural network algorithms, the extreme learning machine based on memristance-charge activation function can shorten the time and improve the accuracy. In a word, it has better classification and regression performances. The work was supported by National Natural Science Foundation of China (Grant Nos. 61571372, 61672436), Fundamental Research Funds for the Central Universities (Grant Nos. XDJK2016A001, XDJK2017A005).